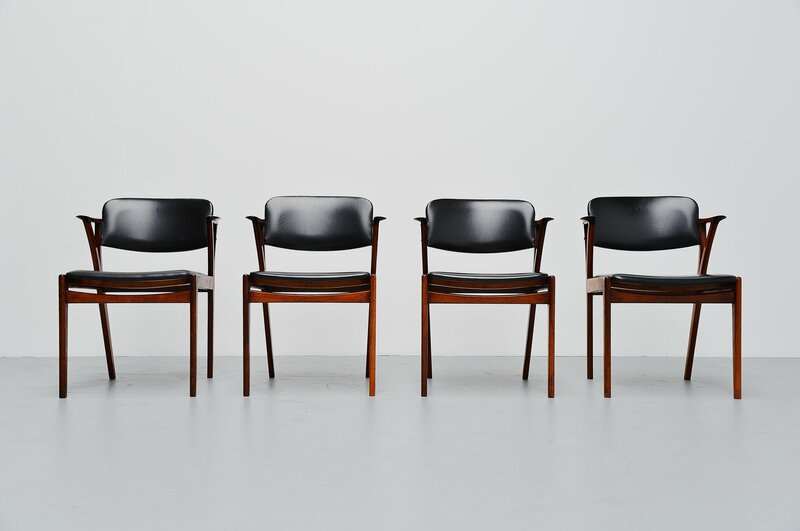 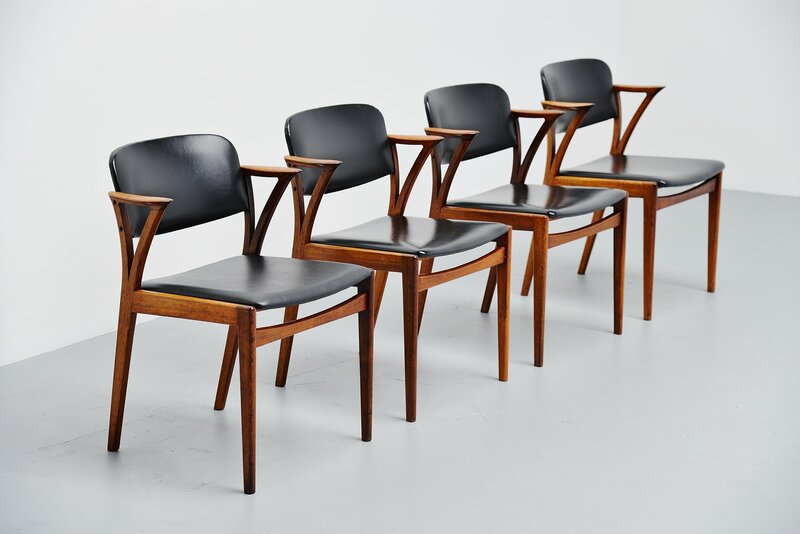 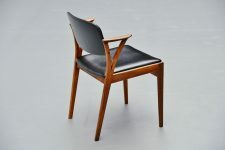 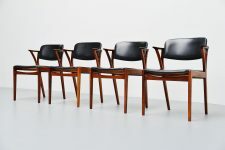 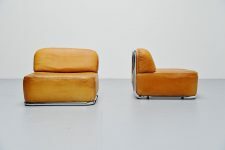 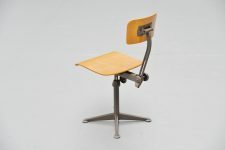 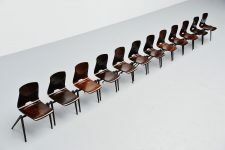 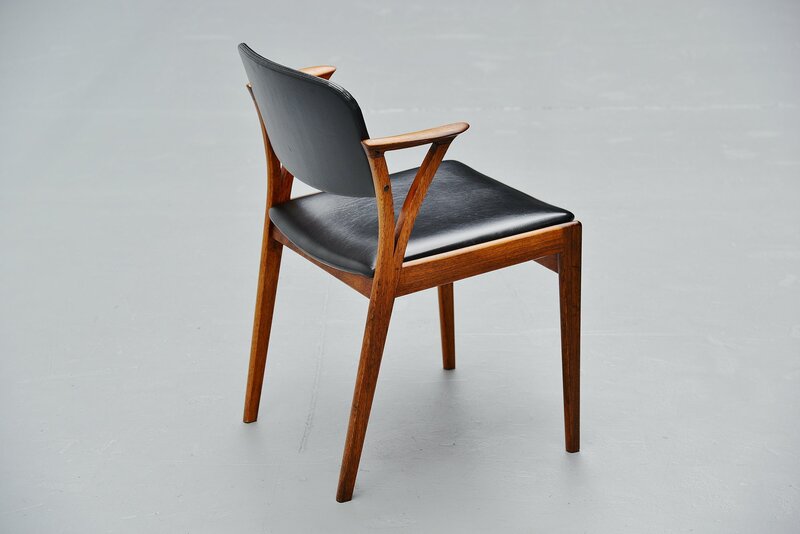 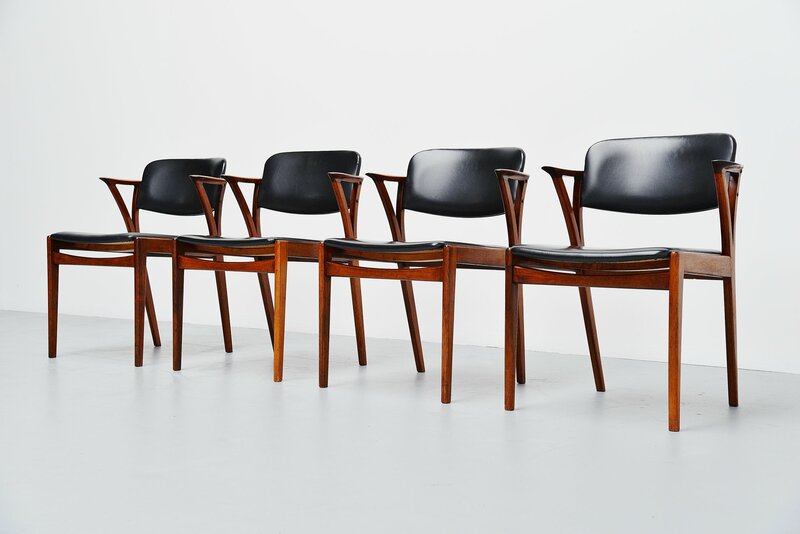 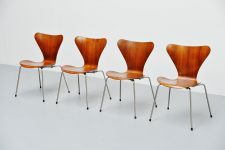 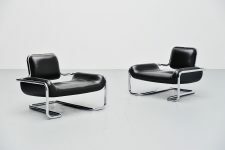 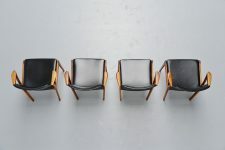 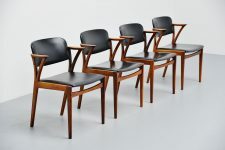 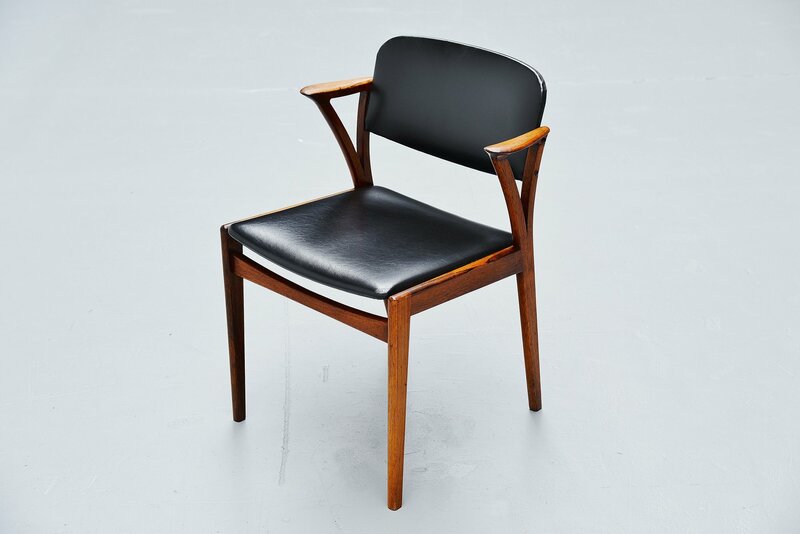 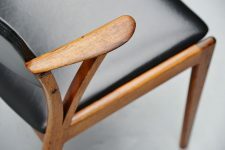 Very nice set of 4 arm chairs designed by Kai Kristiansen and manufactured by Bovenkamp furniture, Holland 1960. 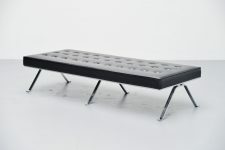 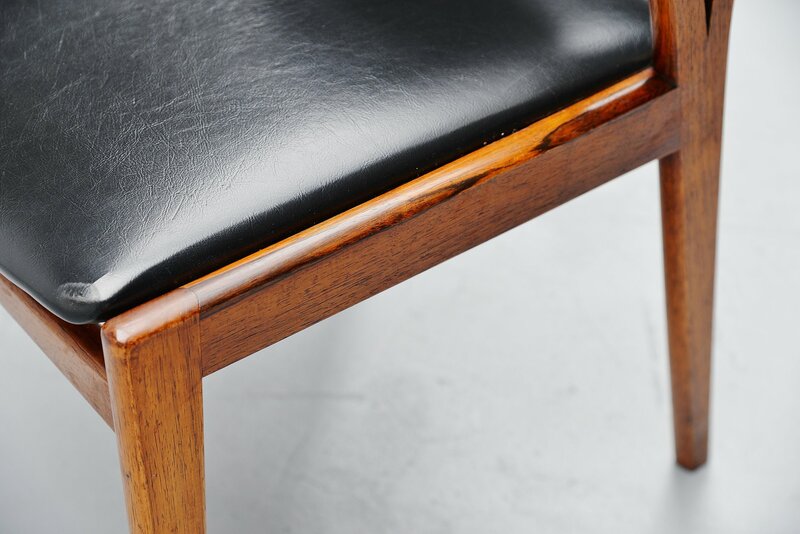 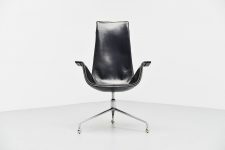 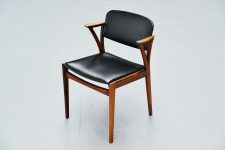 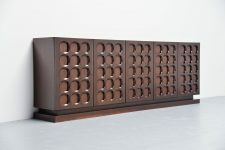 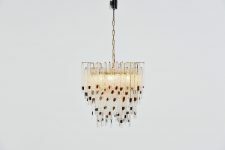 The chairs have a solid rosewood frame and black faux leather upholstery. 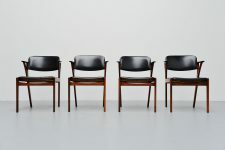 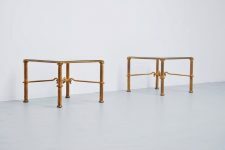 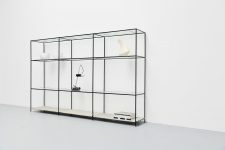 The chairs have a very nice and refined shape, the short armrest are very smart so you can get close enough to the table when sitting on them. 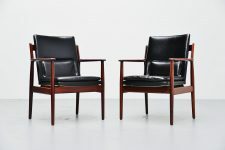 The chairs are in very good original condition, the rosewood has a nice patina from age and usage. 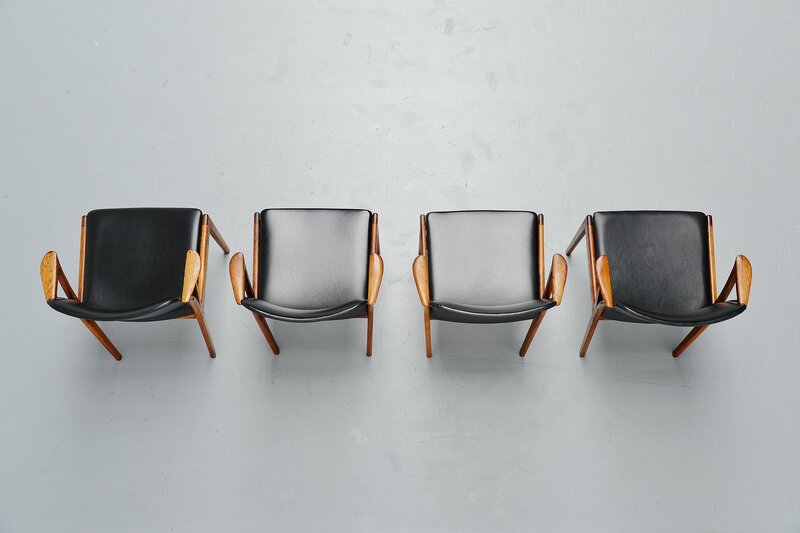 The faux leather is in excellent condition and the chairs are structurally checked and ready to use. Marked with the Bovenkamp brandmark at the bottom of the seat.